For those that know I have a brain tumor, don’t worry the stars are completely unrelated to my medical state. 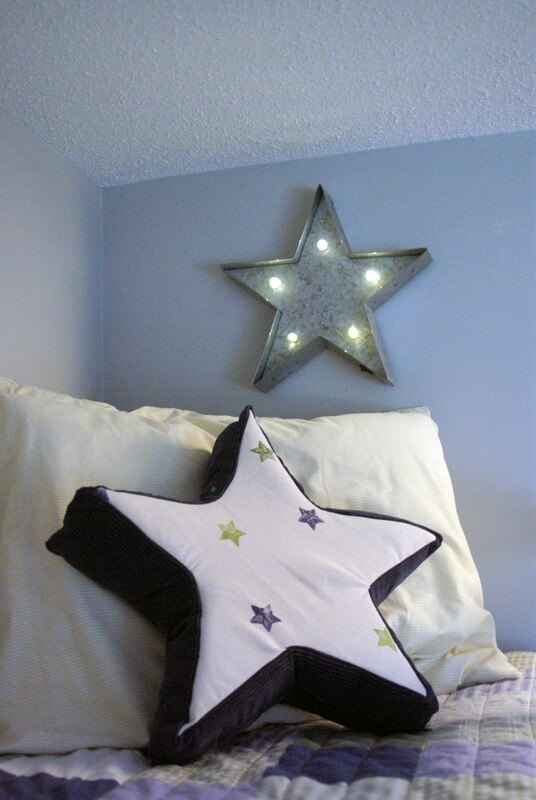 But I do have a tiny obsession with stars. There is something about the odd number of points and graphic nature that draws me to them. Plus real stars are so shiny, and who doesn’t love a little bling. Often I get started on one project that morphs into one or more others. This one started with a bunk bed and turned into tea towels and pillows. How does that even happen? All I can say is that my mind is a complicated place. Printing fabric is super easy if you haven’t ever attempted it. For the tea towels or canvas yardage (pillows) the instructions are exactly the same. I like to involve the kids when I make things especially when what I am making is for them. 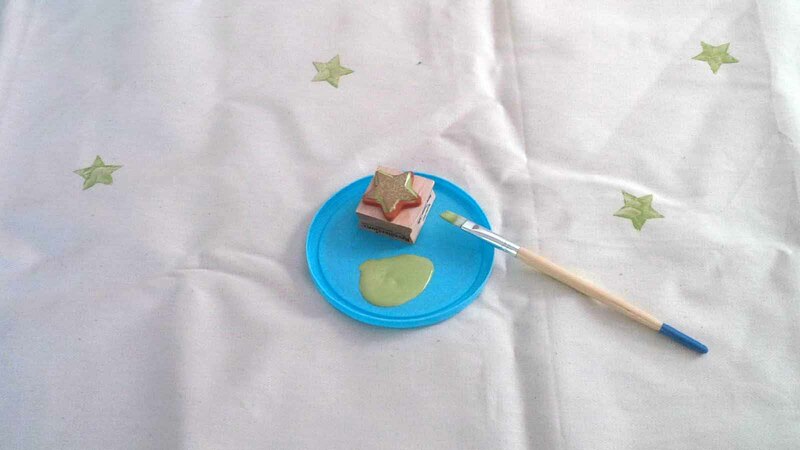 My six-year-old helper decided where the next star was to go by putting his finger on the fabric and then I would stamp the next star in his desired location.